Note: This article contains information that may not be suitable for very young children. The main entrance to Canada’s government–Parliament–is housed in a clock tower known as the Peace Tower. It was built as a monument to the people who gave their lives for Canada during the second World War. 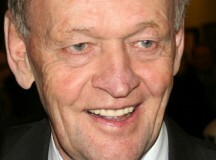 Former Canadian Prime Minister Jean Chretien doesn’t often speak out publicly, these days. 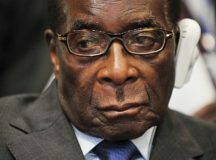 Recently, however, he wrote a newspaper column suggesting that Canada should send help, not fighters, to the Middle East. That’s when troops practice rescuing pretend air-crash victims just in case it ever happens. 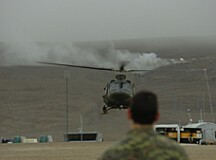 The soldiers were to perform the exercise for Prime Minister Stephen Harper. However, the mock exercise was cancelled when there was a real plane crash nearby. The team raced out to help the victims. Since 2005, Canadian troops have been fighting in Afghanistan against terrorists. Now, Canadian soldiers are ending their mission in Afghanistan. Troops will start coming home in July, with some staying on for another three years or so—not to fight, but to train the army and police in Afghanistan so they can take care of their own people. 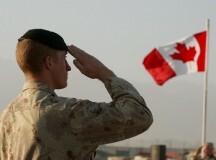 Canadian soldiers were first sent to Afghanistan in 2001. Their duties were not to fight. They were to make sure Canada would be safe from terrorists, to show Canadian leadership around the world, and to help Afghanistan rebuild.